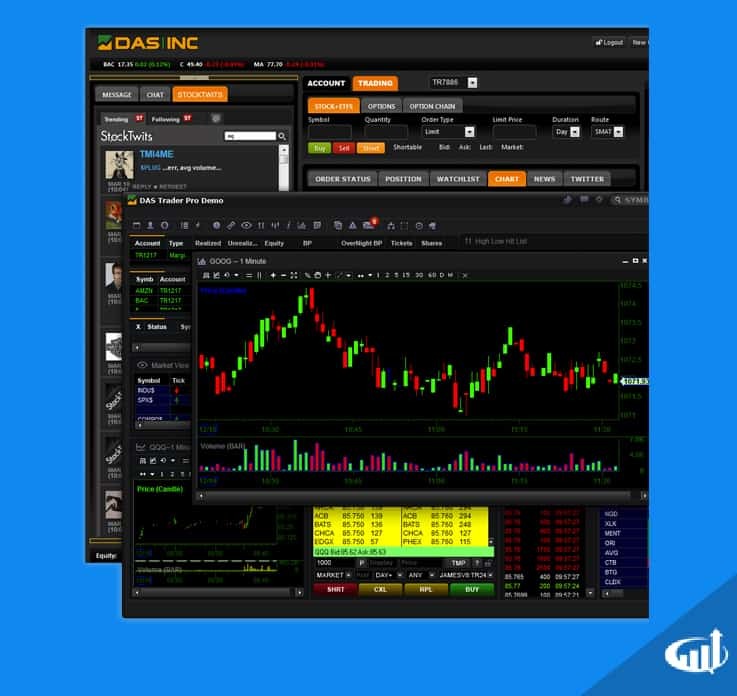 Some of the most sophisticated day trading platforms are built by third-party software companies and licensed to online brokers, who then provide them to clients. Direct-access brokers may offer a selection of different trading platforms for their clients. The caliber of each platform can be evaluated by execution, access to routes, stability, support and trading specific features. Day trading platforms provide a wide range of valuable data, including stock market news. This is the module that day traders use to place trade orders. In addition to the basic order types, additional orders like bracket orders (combination of buy and sell orders that cancel the other when one is triggered), reserve (show small size to cloak large order) and hidden orders (invisible on level 2), timed orders (algo that automatically buys or sell in time intervals), complex orders (involving many legs), peg orders (algorithmic order that places all orders on the inside or split between bid and ask range, great for rebate traders), algorithmic scaling (buy or sell shares when conditions are met) and basket orders (execute a segmented basket of stocks simultaneously). Hot-keys are useful for active traders as split seconds do count. The most sophisticated platforms allow for add-on programmable API or programming languages. Direct-access platforms general have Level 2 (also known as a market depth window) and time and sales attached to the order entry module to provide point and click order executions. 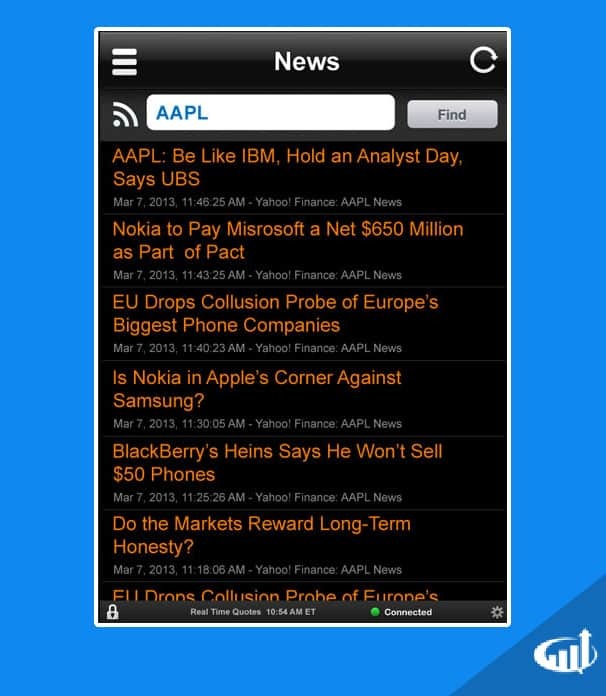 These are usually subscription-based add-ons that supply the latest breaking financial news through a constant stream. This is helpful for nimble news-based day traders. As a caveat, it’s easy for a day trader to get spread too thin chasing headlines. The most widely used news feeds are Dow Jones Newswires, Reuters and PR Newswire. This is usually an add-on that requires an extra monthly fee taken from the trader’s account. Scanners search the market for potential trades. Basic scanners will allow some input criteria. Basic scanners can provide lists of the top 10 gainers, losers and most active stock. More sophisticated scanners can search for specific patterns and set-ups and allow for programming capabilities. Scanners can be detrimental to impulse traders that can end up chasing too much without properly analyzing the set-up first. Day trading platforms provide advanced charts for market analysis. These allow for traders to quickly look up information on a company including financial metrics, news and historical earnings information. Access to analyst ratings and reports are more sophisticated features. This is all about the convenience of having it all in one place rather than searching the Internet for the information. Charts are the primary tool for technical analysis. Basic charting including candlestick, bar and line charts with basic indicator studies like moving averages, Bollinger bands, stochastic, RSI and MACD. The ability to add trend lines is helpful. The more sophisticated platforms offer advanced charting functions including a much wider selection of built-in studies and indicators. Advanced charting features may also include Fibonacci plotting, wave studies, Ichimoku, point and figure, line break charting. Reliable access to and availability of technical, trade and administrative support is important for day traders. Support via telephone, Internet and e-mail is the standard but can be time consuming and costly, especially if it involves a current open trade position. Being able to contact support directly through the platform is usually the best method. Discount brokers are notorious for long wait times.